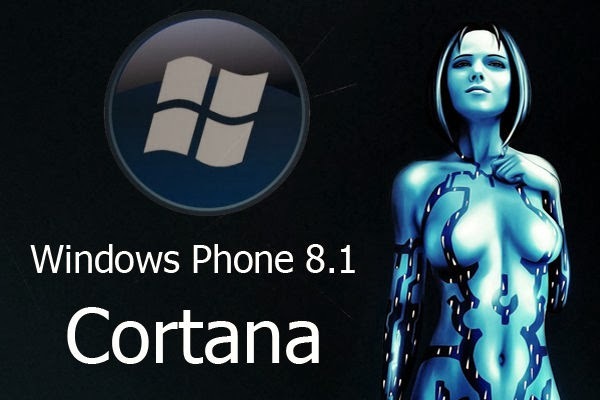 The next version of Windows Phone 8.1 that could be unveiled next month at the time of the Build conference integrate a voice assistant named Cortana which advantageously replace the Bing search function currently implemented. This is one of the most glaring missing points of Windows Phone to its competitors: the lack of voice assistant Siri kind or Google Now. Indeed, users of both platforms Android and iOS say excited about the possibilities of voice assistants available, at least those who have taken the habit of using it, which is even less obvious. But all those who have passed the learning wizard then reflex to use can not and want to go back. Windows Phone, the function is still lacking. This gap should be filled with version 8.1 and Cortana app. Cortana app should provide very similar to its two competitors but also be integrated with the more finely Notebook application to control helper functions which were previously requested information to the voice assistant, and to find them again more easily and quickly. Notebook Cortana would then allow access to location information, personal information, reminders, contacts. All in an environment controlled by users, particularly with respect to privacy and the information that the user wants to share - or not, asking each time if the requested information can be saved in Notebook. The application may also be able to initiatives from reading some mails for which it may propose various actions. Initially dedicated to Windows Phone, the assistant Cortana could also thereafter occur Windows and Xbox. It remains to check the capabilities of the tool to recognize sentences in natural language and not orders or specific instructions, as is currently the case with One Xbox / Kinect.